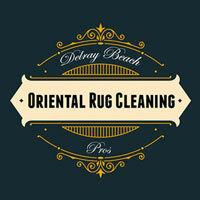 At Delray Beach Oriental Rug Cleaning Pros, one of the most popular services we provide in West Palm Beach, FL is area rug cleaning. An area rug is a hand-knotted rug constructed of natural fibers. Oriental rugs are from the East while Occidental rugs are from the West. There are area rugs that have piles and ones that do not. Kilim rugs are examples of oriental rugs that do not have a pile. 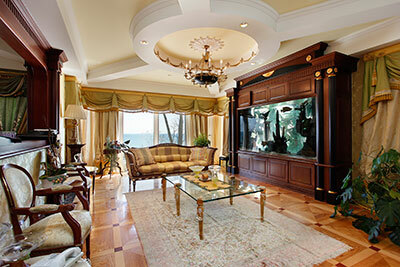 Specialty rugs are also a large part of our area rug cleaning service. They include, but are not limited to, Navaho, Flokati, Hooked, Tufted, Dhurrie, Braid, Karastan, Wilton, Axminster, Stark, Edwards, Fields, and Custom-Bordered Rugs. Both rugs with piles and those without will have varying names based on the region or country in which they were constructed. Many of the design concepts from these rugs have been borrowed from all cultures and bear symbolic meaning. These rugs are true works of art and many precautionary measures must be taken when we apply our area rug washing process to cleaning them. Our technicians are thoroughly trained in the art of area rug washing. It takes a great deal of time, training, and study to understand and identify the complexity of hand-knotted rugs. It also takes years of studying fiber types, rug construction, knotting techniques, dye systems, geographic regions, and cultures. These variables all have a dramatic impact on the way a rug is treated during an oriental rug washing cycle. Knowing all variables ensures your rug is properly cared for from the moment it comes into our plant until its return to your home. 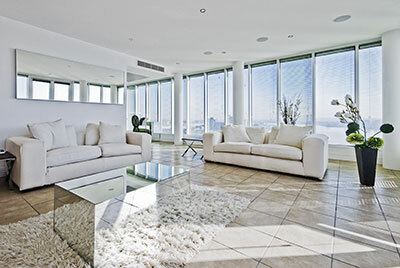 Understanding and respecting the weavers and their methods of rug construction and the environment in which these rugs were woven allows us to be at the top of a unique list of quality professional firms offering area rug cleaning. Delray Beach Oriental Rug Cleaning Pros also offers fringe cleaning and restoration processes in West Palm Beach, FL, which will help retain the value of your fine rugs. Our detailed process can help brighten the fringe and often times return the fibers to like new again. We can also correct fringe that has been subjected to area rug bleeding from previous cleanings, water damage and urine deposits. Our fringe cleaning is performed after the rug is dry. Our special fringe tool guarantees your fringes will be clean and white without the use of harmful bleaches. Both area and specialty rugs are true works of art and our procedures for cleaning them include precautionary measures that take into account the complexity of the construction of these rugs. Variables such as fiber types, rug construction, knotting techniques, dye systems, geographic regions, and cultures all have an impact on the proper care and cleaning of these rugs. An area rug's story begins with its rich history from the exotic country the rug was expertly handmade in. Take a flying carpet ride into the past and journey through a world that cannot be re-created.